My puppy, Millie, recently received her first doggy box from Pawsome! Pawsome subscriptions are quite large monthly boxes of different products of treats for your pooch! 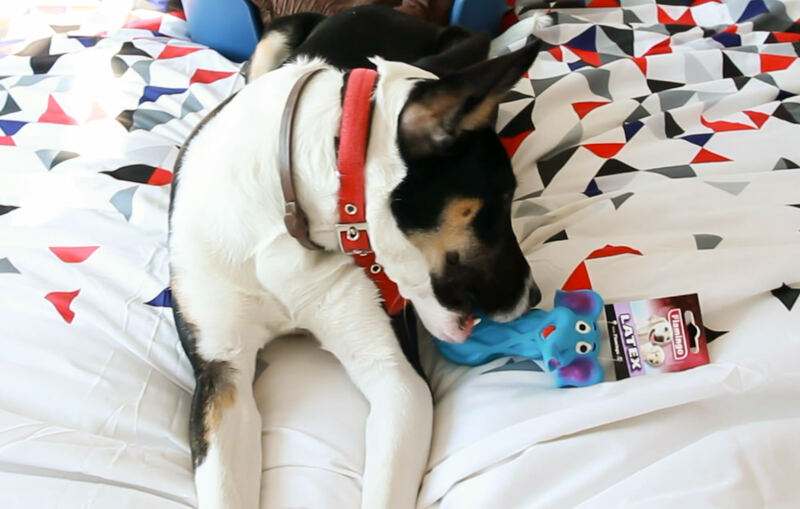 We did a short video with Millie showing the unboxing of her first Pawsome doggy box and all the items she received in it, I hope you enjoy the video! 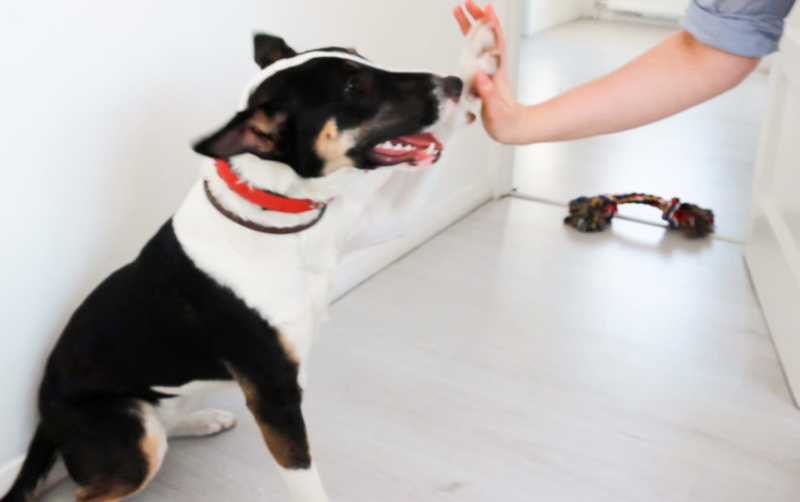 If you enjoyed seeing Millie in this video you can see more of her work here and here. 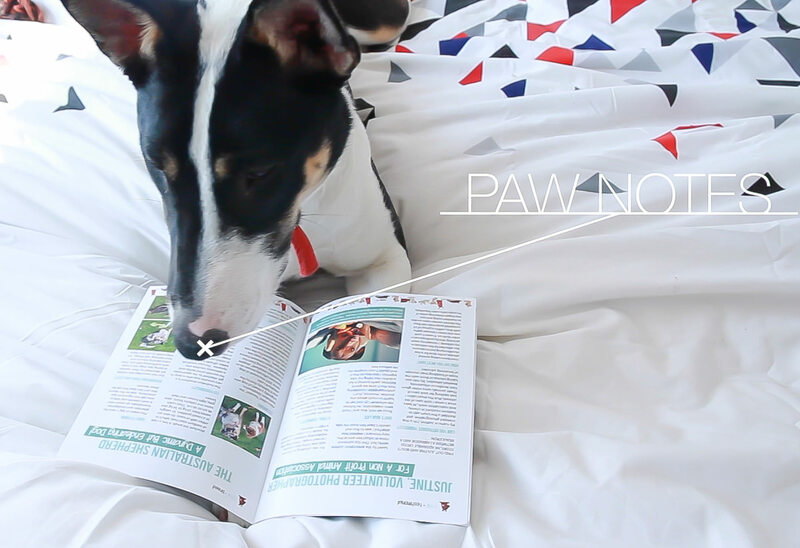 In the Pawsome doggy box you receive between 5 – 6 different products. The items can be treats, hygiene products, accessories or toys. The item choice is based on your dogs profile, all the items are picked and adapted to suit your dog. 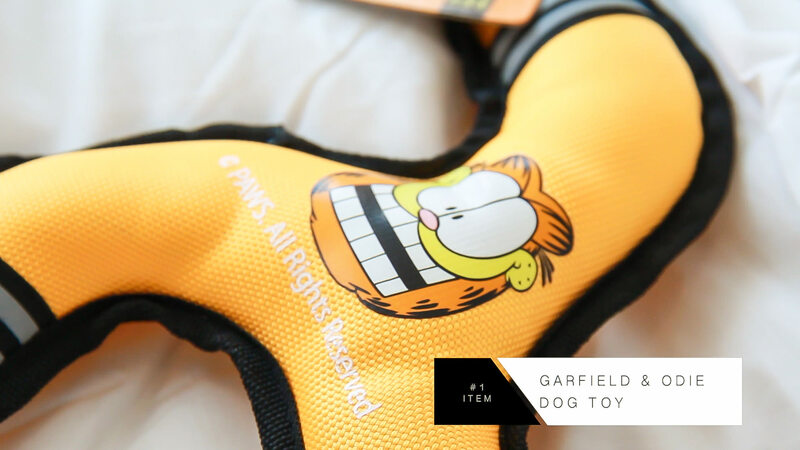 A Garfield and Odie squeaky dog toy/boomerang. The picture came off immediately but Millie has been loving this toy and hasn’t managed to destroy it yet so it is pretty tough! 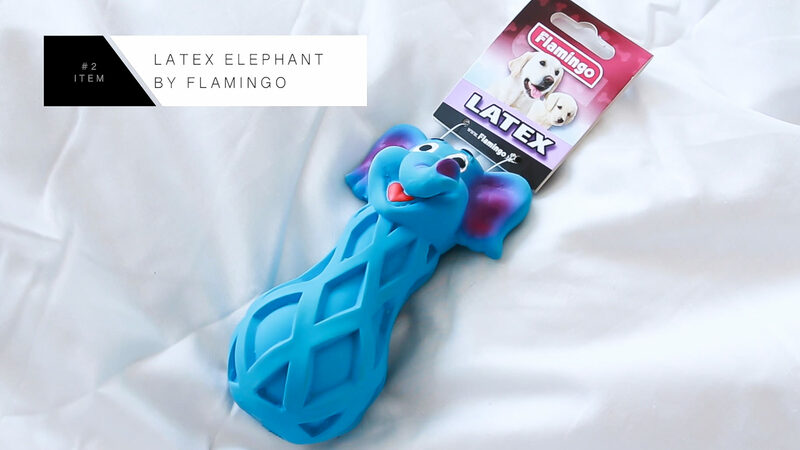 A squeaky blue latex elephant toy by flamingo. I have never seen Mill Moo enjoy a toy more but unfortunately after a day he had been punctured, his very loud squeaker destroyed and then he started being shredded and had to go in the bin. 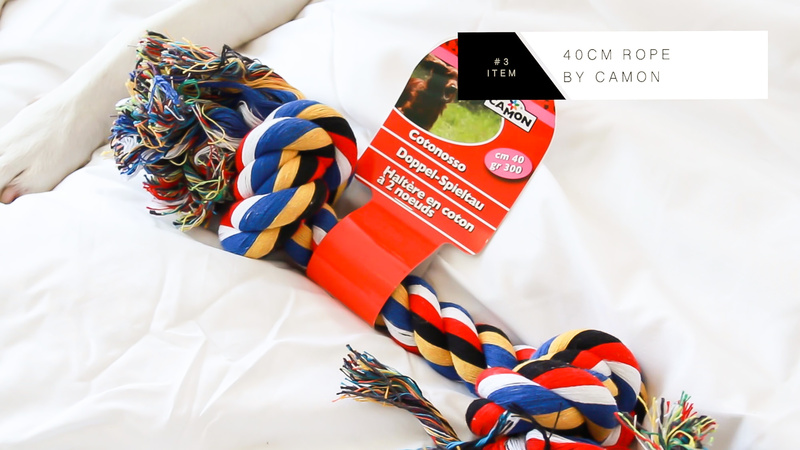 A 40cm rope from Camon. 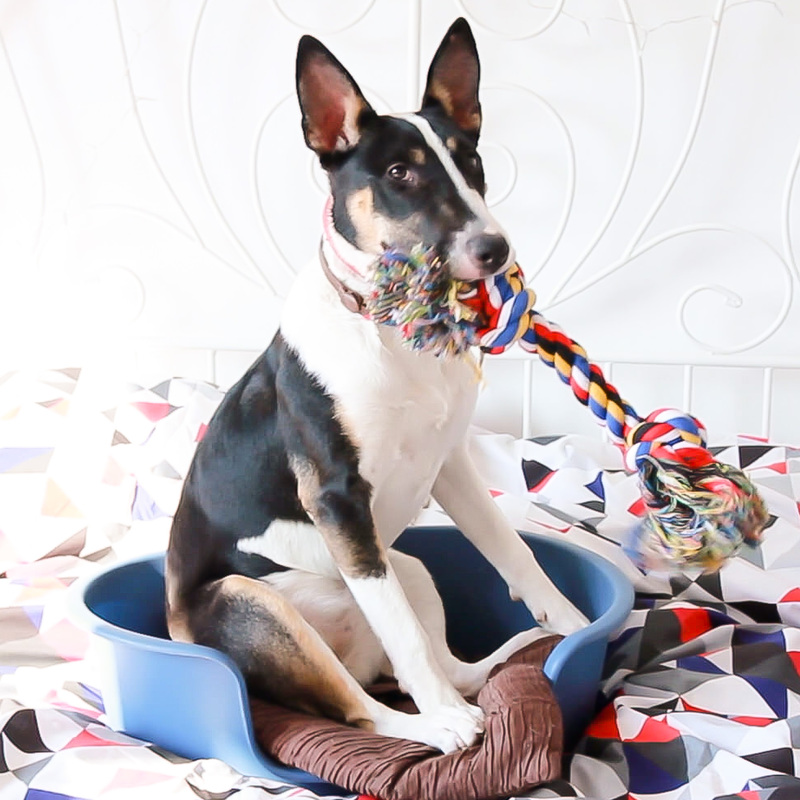 This rope is perfect, Millie loves rope and this tough chunky design is doing well so far! 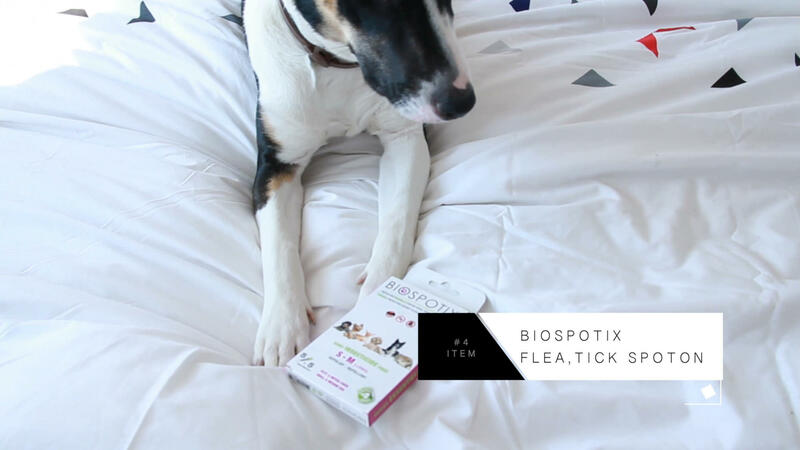 Biospotix Insecticide – Flea and Tick spot on. This isn’t needed at the moment and is sure to come in with her playing outside in the summer. The treatments can be expensive so it was great to find one in her box! 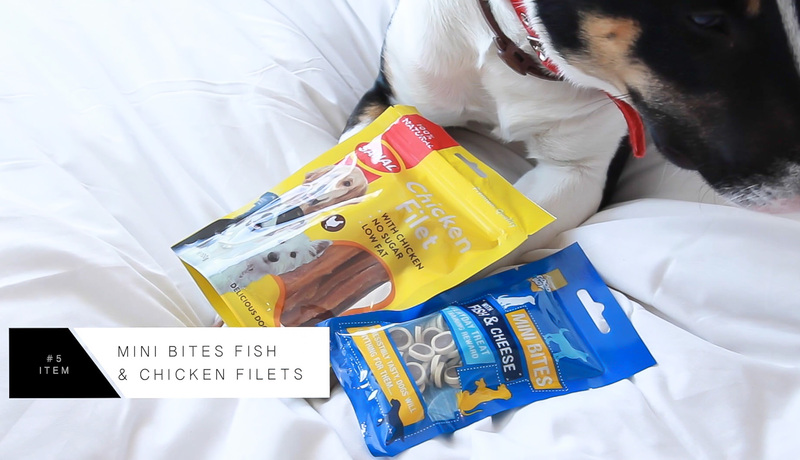 Good Boy Mini Bites Fish and Cheese Treats and some Sanal Chicken Filet Treats. Millie is being treat trained so perfect bite size treats to take with us to aid her behaviour. Finally a small lollypop shaped dog chew. I think this was just a little extra as there were 7 items in the box in total rather than 5-6. Overall the box was a massive hit, we had some perfect items for Millie to enjoy and there was nothing that wasn’t of interest to her. For the quantity of products I would say the price of the box is a saver compared to buying the items individually. The Pawsome doggy box is monthly £19.90, 3 months £18.90, 6 months £17.90 or 12 months £15.90. With the amount I spend on Millie per month on extra toys, treats and chews the boxes are well priced. They are also convenient, offer products you don’t see in all the stores and give your dog the chance to try something a little different that you might not have thought about. The Pawsome doggy box was a hit with Millie anyway! Have you every tried a dog subscription box. Is there any you would recommend?